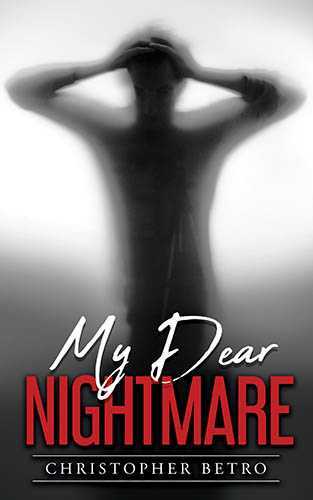 My Dear Nightmare is an emotionally immersive thriller that will keep you wanting more. You will journey into the mind of Christian Tamer and delve into his thoughts of the troubling demons that are trying to take control of his life. Explore from the beginning where you’ll learn about Christian’s life from his troubled relationships to his complicated past. He has been stricken most of his life with a mental illness that leads to a conflict between his love life and a serial killer. No one can solve this struggle but Christian himself; not even the police. Take this journey with Christian and see where it will take you! Christopher Betro is a first time author who shares his struggle with bipolar disorder in this uniquely crafted novel. Though not based on his real life, his mental illness is echoed throughout the main character.